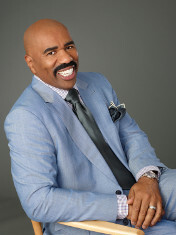 A few weeks ago a guest on the Steve Harvey talk show stated that she had Mr. Right and let him get away. She stated that she did not appreciate him, she did not let him be a man, and she allowed other men to influence her decision regarding the relationship. As I listened to her segment, I was thinking, “first of all, how do you let a good man get away? And second, why would you consult another man, who is your friend, about your current relationship? Those are the things that made me go hmm. This woman’s situation may sound unique, but it happens more often than a lot of us can believe. Think about it, how many times we have all heard of a woman breaking off a relationship or divorcing a seemingly good man for a reason such as: he’s boring, I fell out of love with him, or I don’t know – something just wasn’t right. These all sound like lame excuses to end a relationship with a good man, but I have heard them all. I once heard the saying, “a bird in the hand is better than two in the bush” – in this situation having a good man who may be boring is better than being single and hoping to find something better; do women who are bored in their relationship end it with a glimmer of hope that they will find someone better, someone more exciting? Are we as women that shallow? As the segment continued, this lady sought out Steve Harvey to bring her face to face with her former boyfriend to see if the boyfriend would have her back. She realized her mistake – she realized that she left her “Mr. Right” looking for her something better and it wasn’t out there. The truth of the matter is that the grass always looks greener on the other side, but when you get to the other side you realize that all grass needs water and nurturing to grow – and in some situations what may look like real grass is really artificial turf. What a disappointment! As I addressed in a previous blog post, “The 80/20 Rule”, http://terry411cato.com/2011/08/, my advice is to never leave your 80% looking for 20% because you will soon realize that all relationships need nurturing and every person has faults – you may get the 20% that you are looking for but lose much more.